On this very bed, hundreds, if not thousands of Cambodians were tortured and killed. 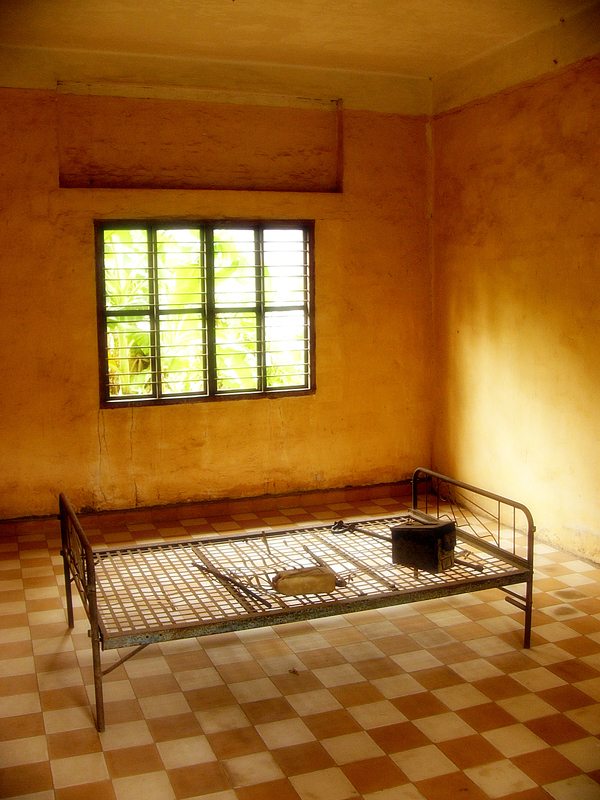 This bed is now part of the Tuol Sleng Genocide Museum in Phnom Penh Cambodia, a converted high school turned prison for the “bad blood” during the Khmer Rouge Regime of the 1970’s. Of the over 17,000 people known to have been imprisoned here, only twelve survived, and of those twelve only four are currently known to be alive. Great shot. I love this one.